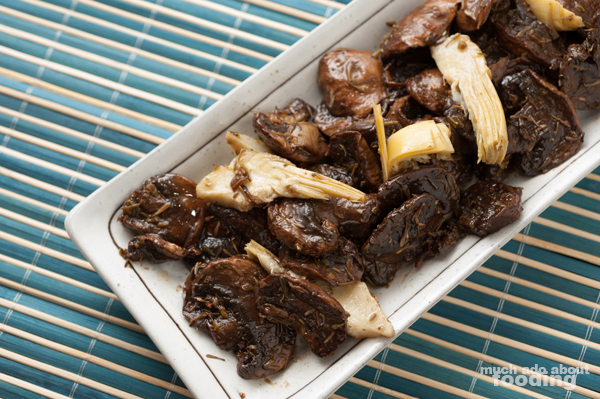 It may not look like anything special but marinated mushrooms and artichoke hearts are usually an instant hit at gatherings. They are tangy, herb-y, and a good fit for other plates you've got going on, especially an antipasto spread. I somehow managed to put this together as one of the first things I made when I started cooking and keep coming back to it [original post here - this is a revamp of the first version of this dish that I've made.]. It's an appetizer you can start the day before and should, to allow the flavors to meld with each other better. 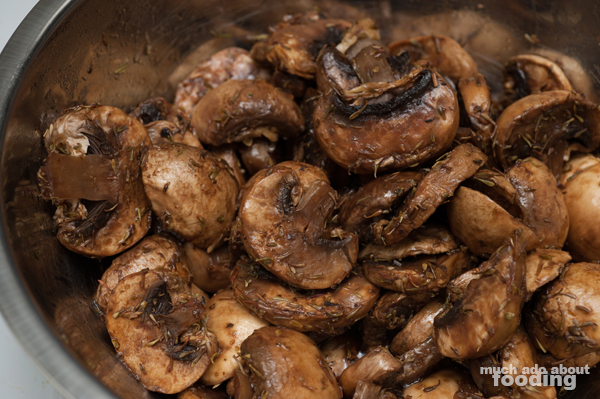 Served cold, the plate of mushrooms and artichoke hearts will definitely fancy up any party, AND the recipe is easy too! I was not kidding about how easy this was. 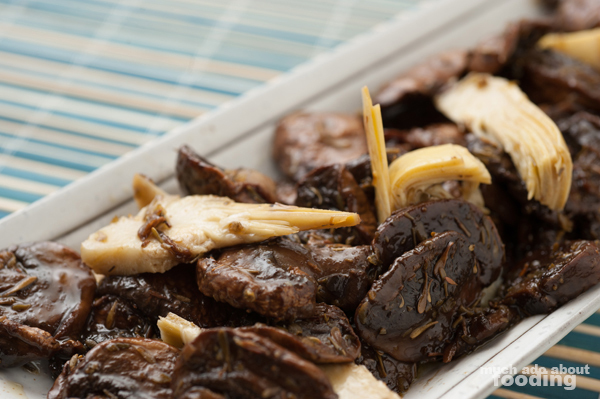 Slice mushrooms and artichoke hearts. Combine all ingredients in a mixing bowl and mix thoroughly. Cover container and let sit overnight (or minimum 2 hours). Heat a large pan on medium and add in entire bowl's contents. There will be residual oil in the marinade so you don't need to pre-oil the pan. 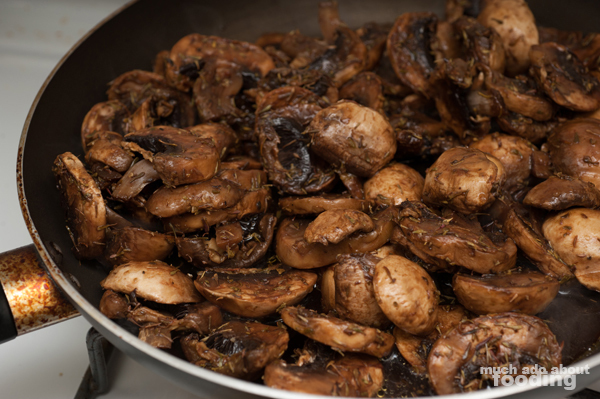 Cook until most of the liquid has evaporated and mushrooms have shrunken. Chill contents through in the refrigerator. Serve cold!